5 to 10 day turnaround! Stickers are a great marketing or promotional tool for a company. 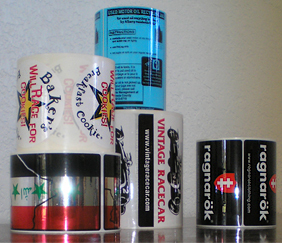 Whatever your industry, getting custom made stickers or labels for use is a great idea. From seasonal selections to everyday promotional work, you can choose from regular printing or labels with a bleed (where color or an image “bleeds” off the edges).